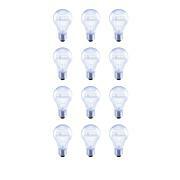 Looking for an energy-efficient bulb? Well, lighten up! 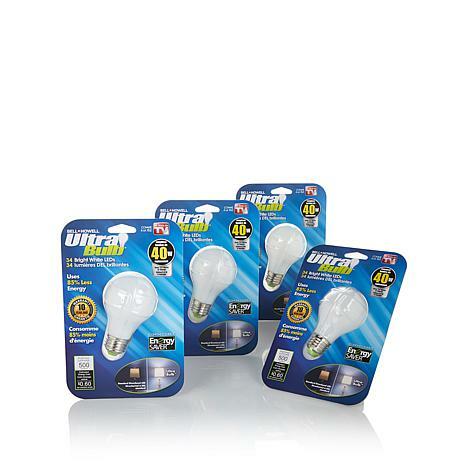 The Ultra Bulb can last up to 50,000 hours and uses up to 80% less energy than traditional incandescent bulbs. 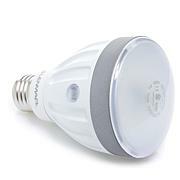 Instant-on performance, a soft, warm white glow and break-resistant design are sure to make this bulb the light of your life. These bulbs are great. I hesitated because of the review that it was a yellow light. 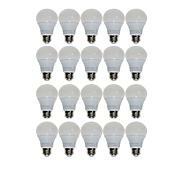 My bulbs are a bright white light. I have them in my ceiling fan light unit. They really lights up the room. It's too soon to tell about savings but I am very please with the brightness and the white light that they give off. These work great, however I ordered two sets and I only received one package. I will check to locate other package. hope they last as long as they say, i will see. so far the light is good and not too bright but just enough for good ombiance. I love the light and the color/glow. However, one broke after 5 weeks. That makes them very expensive when you divide the price by 3. But if these 3 work as long as they are supposed to, I'll like them.